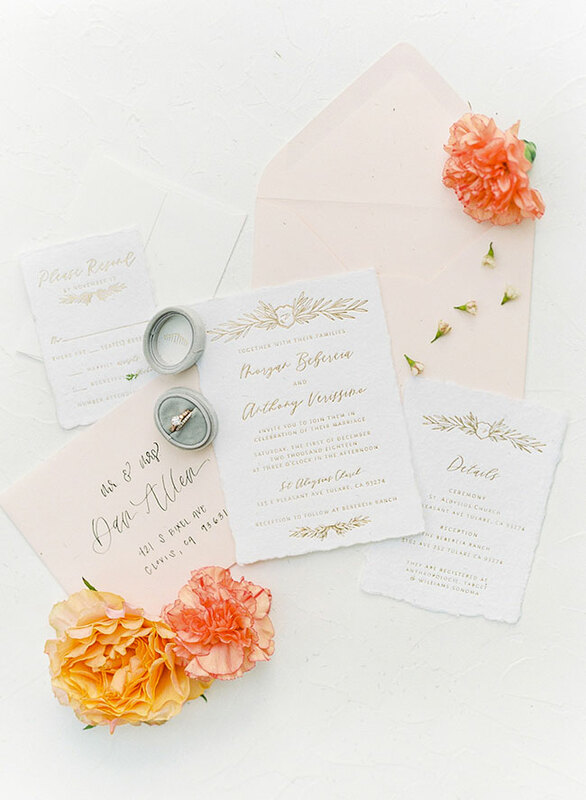 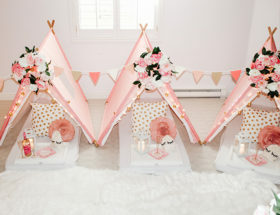 Meg says, Our inspiration was to create something unique and visually appealing for couples who want to elope or have a small destination wedding. 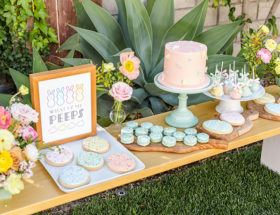 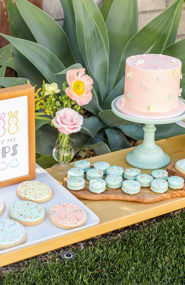 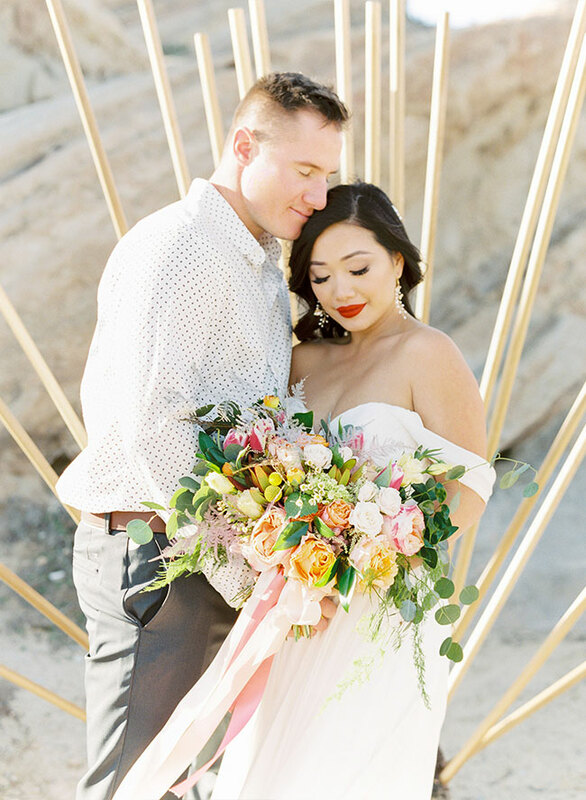 Almost all of the vendors are from Fresno, California and so we wanted to showcase to Fresno clients that it could be fun to have a wedding outside of Fresno. 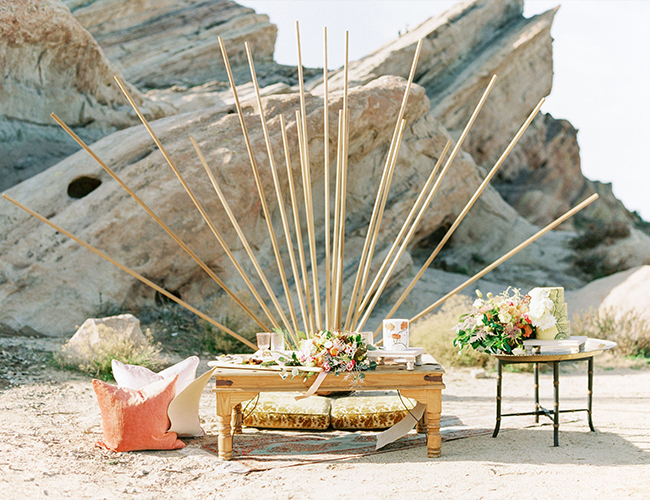 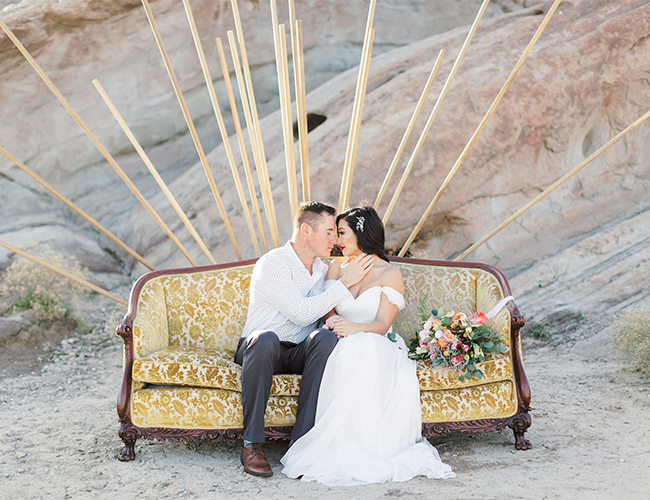 We really wanted our photos to have a pop of color and a relaxed, boho vibe. 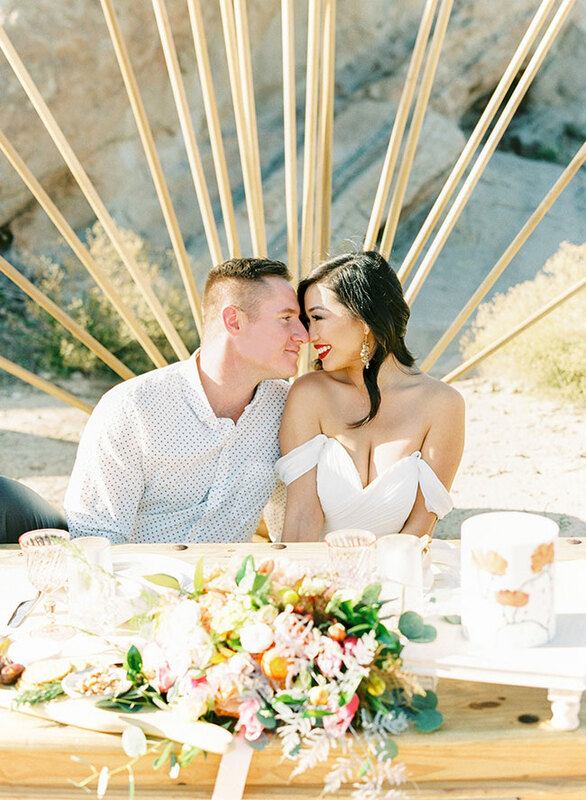 Our wedding arch was brand new and hadn’t been used before and it definitely helped stage our session! 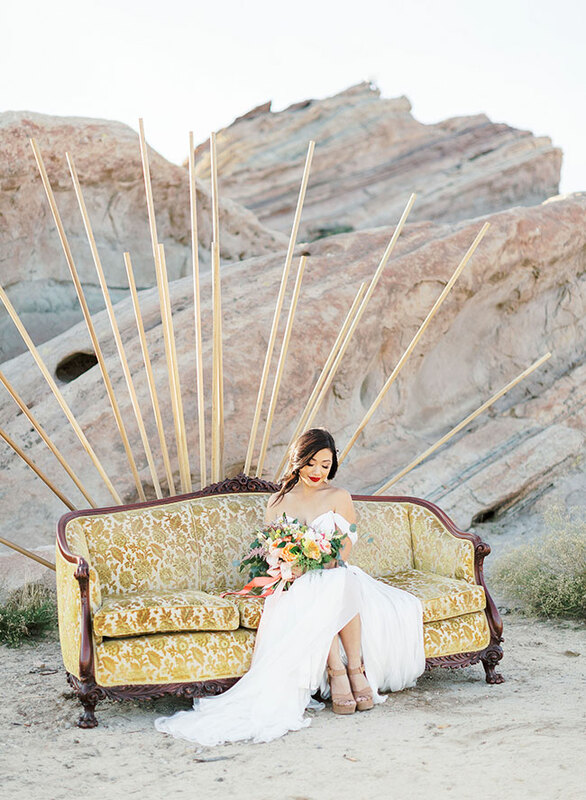 We chose the desert because it is very different than anything you can find in Fresno, plus it fit the look we were aiming for. 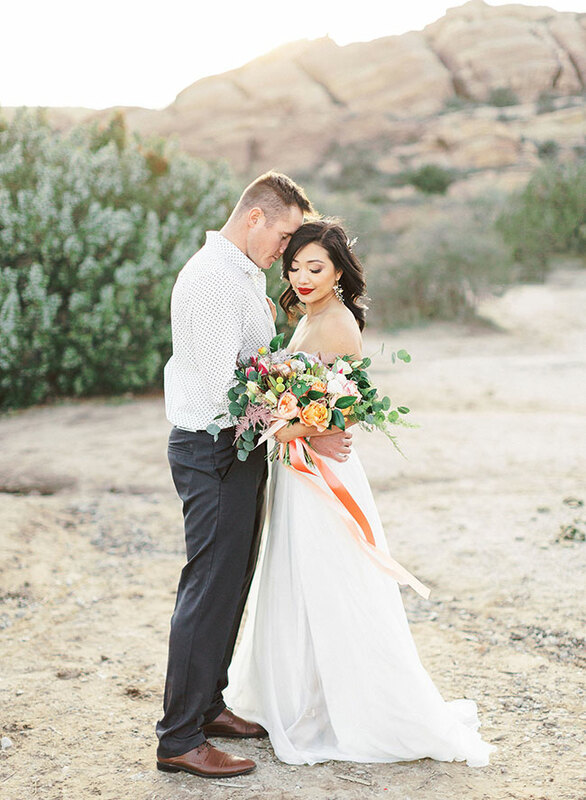 We wanted our model in a flowy dress to add some romance to the shoot. 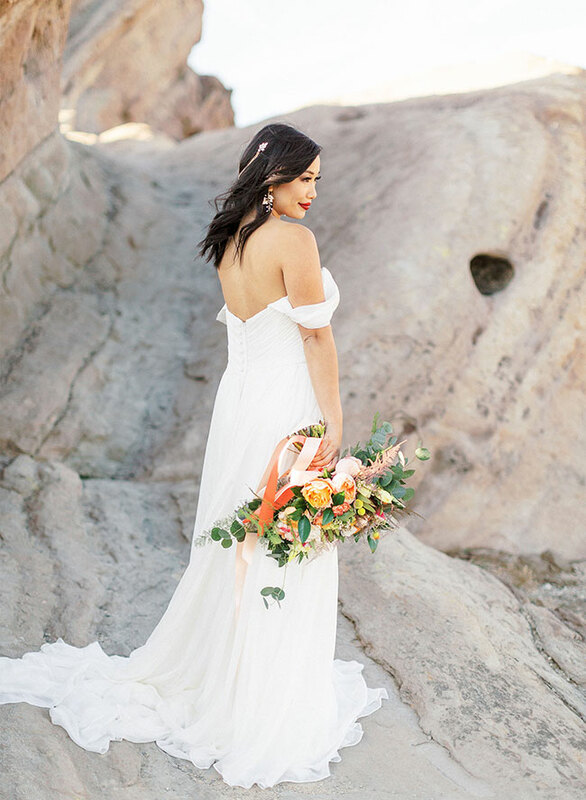 The dress was also brand new and hadn’t been worn by a bride yet. 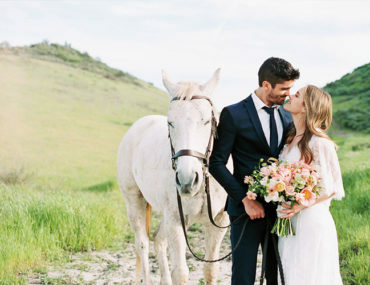 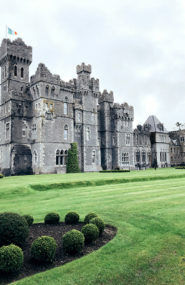 Isn’t it romantic?! 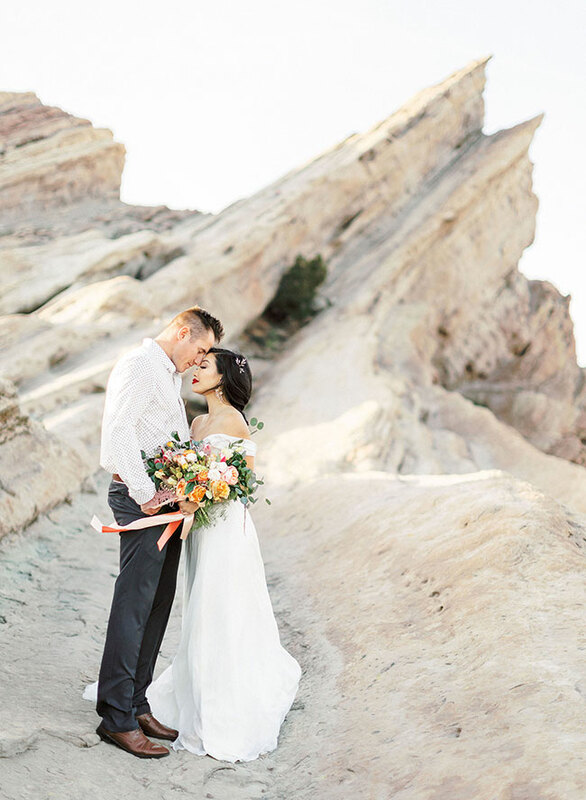 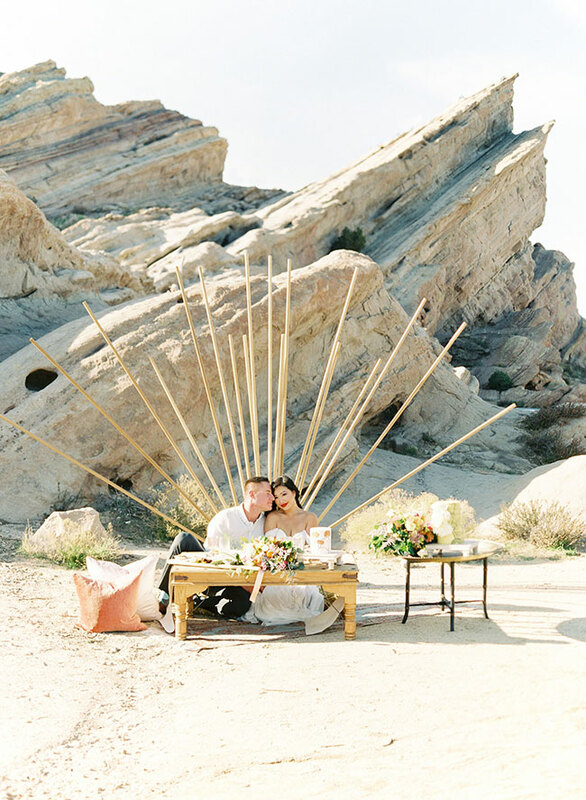 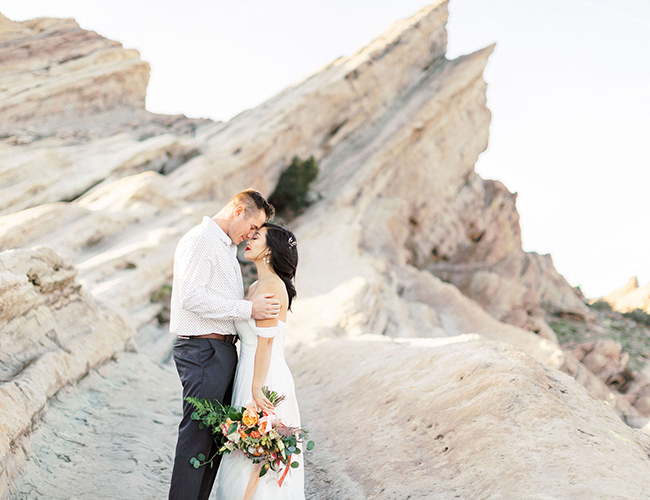 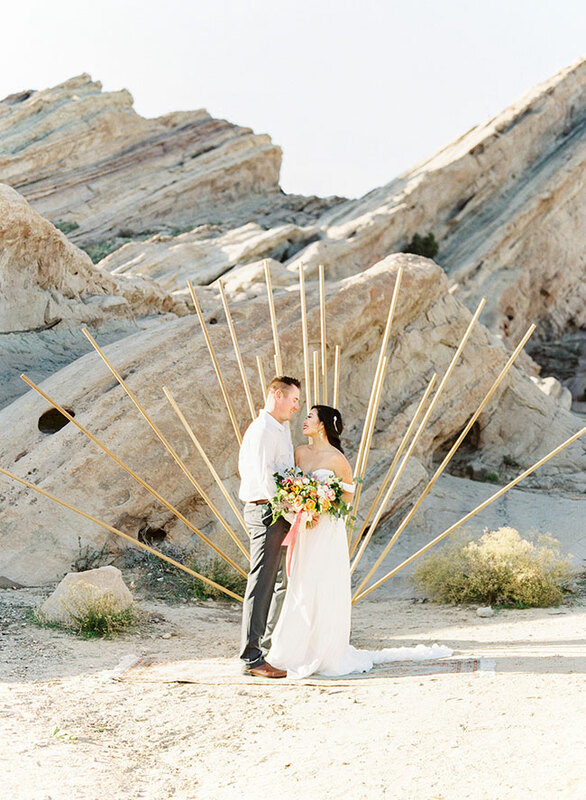 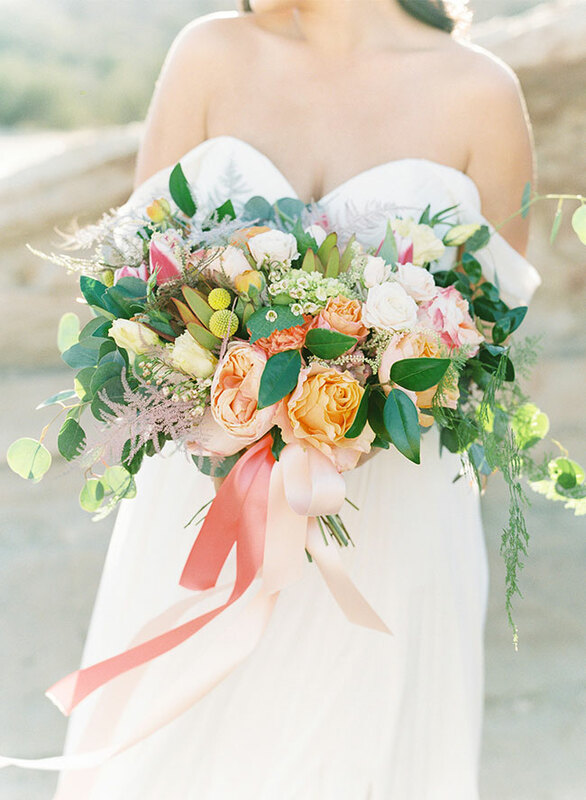 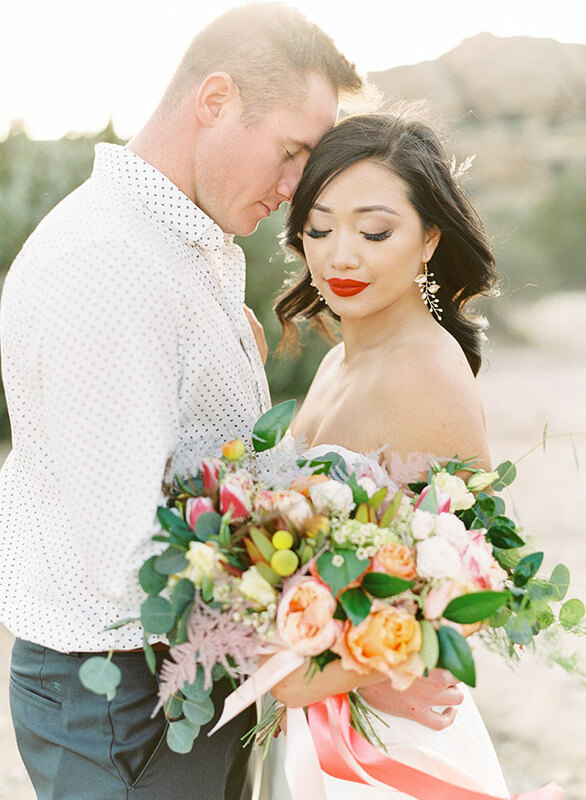 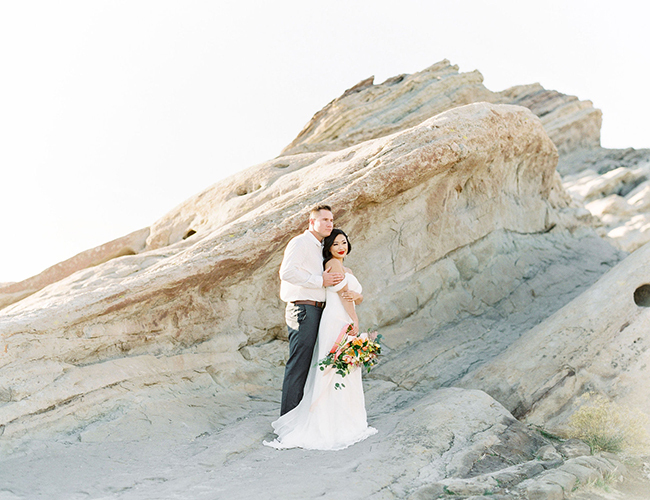 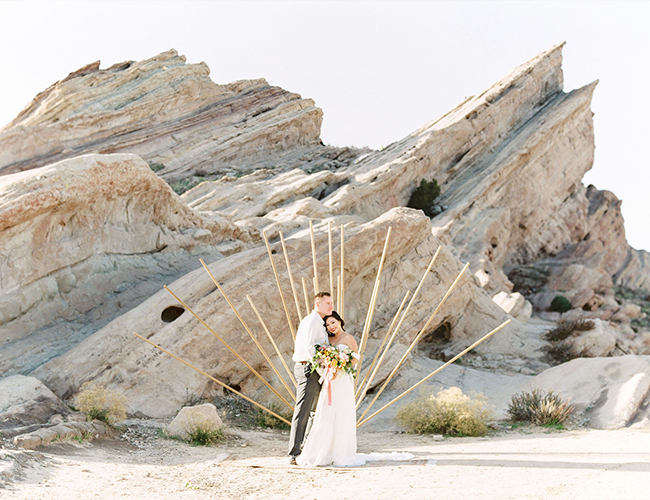 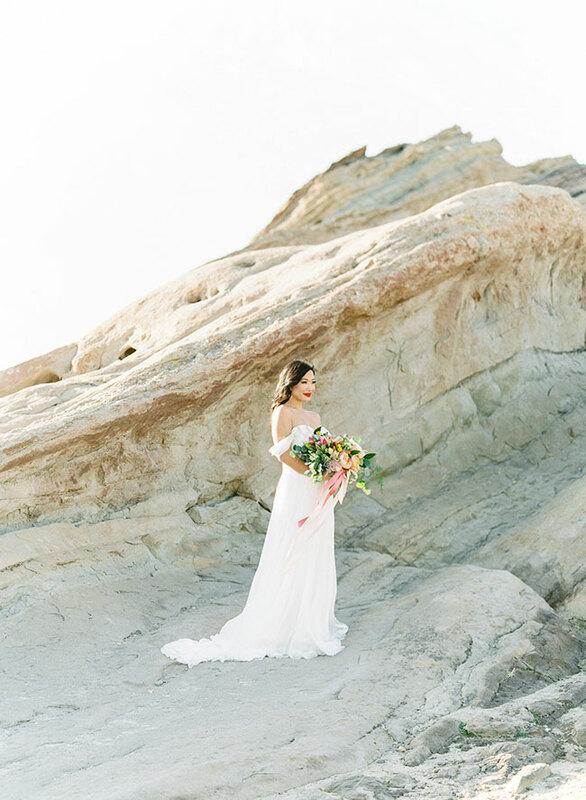 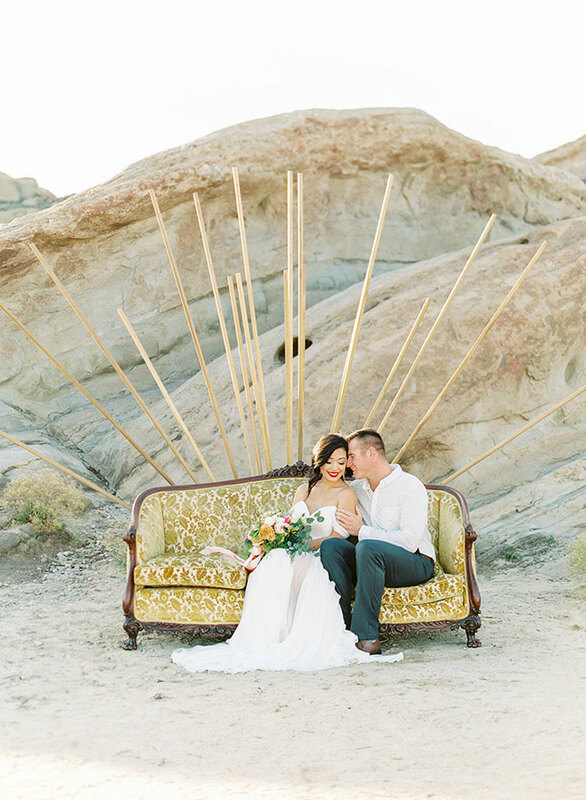 If this desert elopement is in line with your style, we think you will love this elopement too! 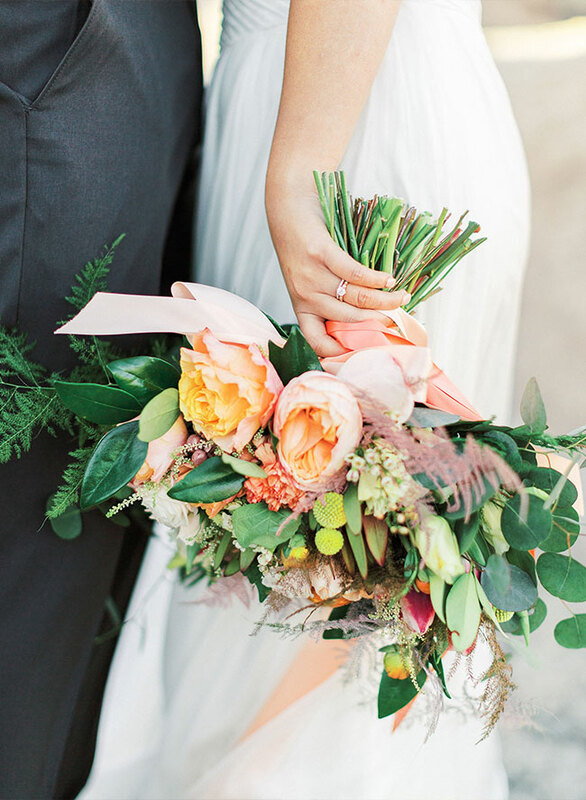 As obsessed with the color palette as we are? 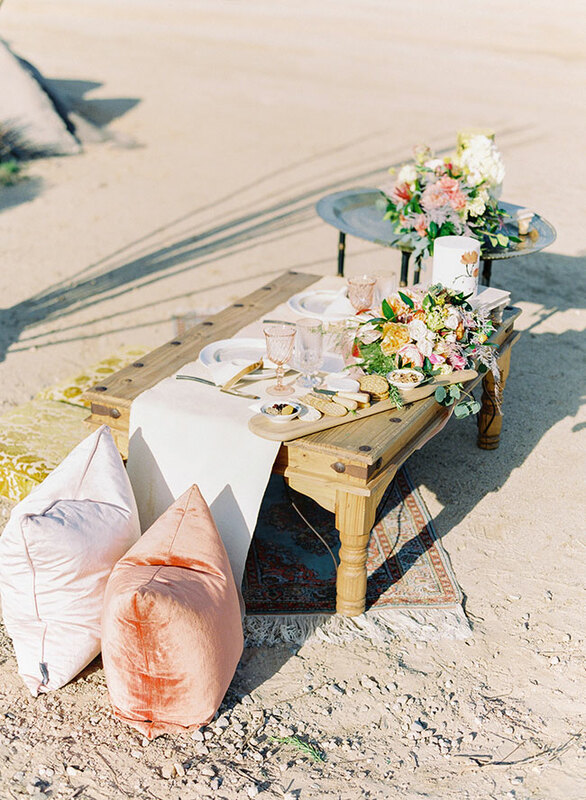 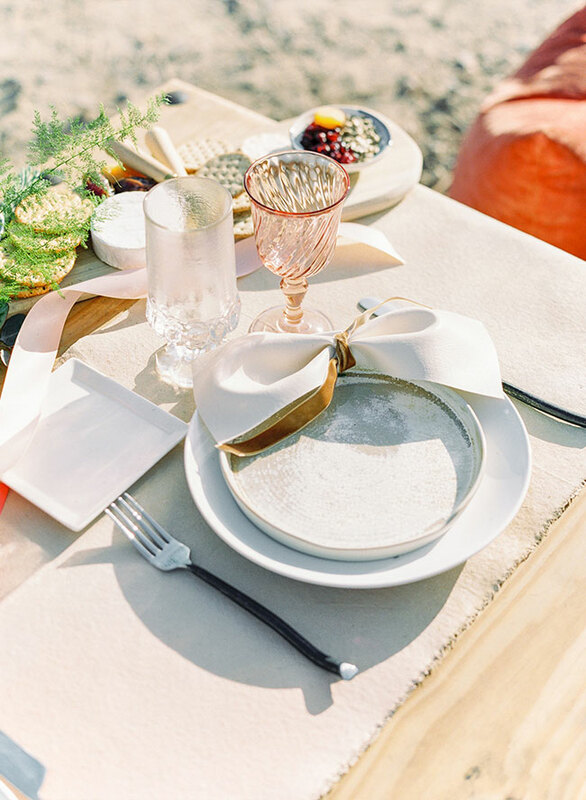 This bold bohemian wedding is another must see. 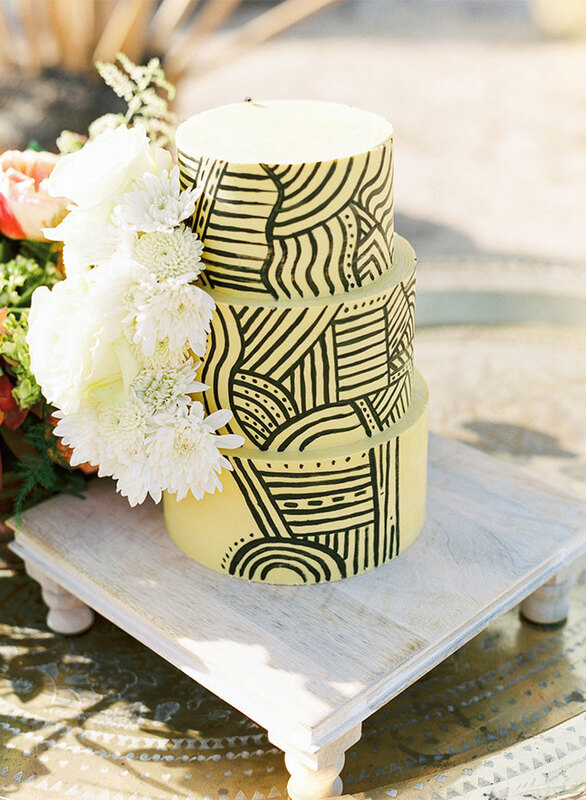 Cakes: Bella Donna Baking Co.